WHEN YOU GO, WILL YOU SEND BACK……..
Joe Moore, signed for Hibernian FC in Scotland in August 2018. Joe came to RSC Academy in 2017 moving to Hyde from Scotland to realise the opportunity and his dream of being a full time Academy footballer. He was a dynamic left winger from grassroots football and wanted us to help him iron out a few technical and tactical aspects to his game. Joe always worked hard and had the mind set of a professional footballer. He trained above and beyond what was timetabled for him, using the facilities at Ewen Fields to put in extra hours in the gym & on the pitch with the aim of giving him the best chance to succeed. Many people say “I want this more than anyone”. The difference is that Joe actually demonstrated this by working harder and longer and he deserves his opportunity now as a paid scholar. He consistently plays for the Hibernian U18s and occasionally plays for the U23s as well – which is fantastic for the Academy at Hyde to know we are producing players of this standard. 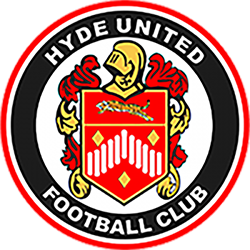 We have many more at our Academy who are of Joe’s standard who just need to put in the hours and we will do our best to progress them into the first team at Hyde United FC and ultimately to find them a professional club willing to give them an opportunity as a full time professional.